There is a win-win solution. The mainstream media reports that North Korea has dropped artillery shells on an island which has been under South Korean jurisdiction since 1953. The barrage destroyed homes and killed both soldiers and civilians. Given North Korea's history of violent interaction with its neighbors, the Obama administration has taken the matter seriously enough to send an aircraft carrier battle group to the region. Seoul, the capital of South Korea, is within easy artillery range of North Korea. The North has been hiding thousands of artillery pieces in caves since 1953. Even if the North didn't use nuclear weapons, they could inflict severe damage on Seoul and kill many thousands of people. The North has been digging tunnels under the demilitarized zone where the war stopped since 1953. Four tunnels have been found, each of them big enough to transport an infantry division in about an hour. Only the North Koreans know how many more tunnels they have which we haven't found. The Northern army has been building protected artillery firing locations all along the DMZ for fifty years. Nobody knows how many they have, but some estimates range in the tens of thousands of dug-in weapons ready to fire at any time. North Korea has demonstrated that it has nuclear capability. They may not have very many nukes, but it only took two to change the Japanese High Command's minds. The North Korean military is a lot bigger than the combined South Korean and American forces in South Korea. If they got serious about invading the South, the only way to stop them would be for us to use nuclear weapons - most likely before they do. Much depends now on how China responds to this incident. Beijing’s continued support for its rebellious step-child may be of mutual benefit to the leaders of both states, but there surely must be a limit to how much aggression can be tolerated. In classic fashion, a Chinese foreign ministry spokesman has already expressed “concern”. South Korea and America will be hoping for a little more than that in the coming days. China supplies North Korea with a major portion of its food and energy. China could starve a significant part of the North Korean population by cutting off supplies, but the military and the elites would probably survive as they did in Iraq. China is not enthusiastic bringing about the North Korean regime's collapse - unification would eventually bring a prosperous Korea into contact with China itself. Being adjacent to a US ally would not be acceptable to China. A collapsing North Korea would send thousands of starving North Koreans across the border into China, which they don't need. China has not been particularly helpful in pushing the North Koreans to give up nuclear weapons. They probably calculate that even if the Northern regime went completely over the edge, they couldn't damage China too much because they don't have enough nukes to do so, but they could devastate the far smaller South or Japan. What Do You Tell the Carrier Captain? Given the situation, what would you do as Commander-in-Chief? Sending the carrier is all very well, but what orders would you give the captain? There's one certainty - if the situation turns nasty, there won't be time to radio back to the US for orders. You have to anticipate as many situations as possible and tell the captain how to handle them. Ever since the days of sail, the Navy has given the captain written Rules of Engagement (ROE) telling him how to respond to various situations that might come up. The ROEs have evolved over time with technology. Before WW II, the captain was the only person with weapons release authority. The lookout would spot a ship, cry out "sail ho," and the captain would be summoned. He'd asses the situation and decide whether to order weapons run out. When the time came, only the captain could give the order to fire. This changed with the advent of supersonic missiles. There wasn't time between noting the incoming threat and its impacting the ship to wake the captain. The navy defined a new position, the Tactical Action Officer (TAO) and put three on each ship. There are now four officers with weapon release authority and one of the TAOs is in the Combat Information Center (CIC) at all times. They're supposed to call the captain, but they can order return fire without waiting for him to arrive. The rules changed again in 1987 with the USS Stark incident. At the time, the ROE said that the TAO could release weapons only in response to a "hostile act." That is, if an airplane fired a missile, the ship could shoot down the missile or the aircraft or both. The Stark was on patrol in the Mediterranean and was hit by two missiles from an Iraqi fighter. The fighter had illuminated the Stark with fire control radar before launching the missiles, but that was not a "hostile act" under the ROE, it was mere "hostile intent." At that time, the fire control radar had to "lock on" to the target for the missile to have any chance to hit. The Stark detected the radar before the missile was fired, but was not permitted to fire just because the airplane had demonstrated hostile intent. The missiles arrived so fast that the TAO didn't have time to bring the Stark's weapons into action. The rules were changed to permit retaliation to "hostile intent;" the next time a Navy vessel detects fire control radar, the captain has the authority to wax the perpetrator before missiles are released. Given that it appears that the North Koreans sank a South Korean warship with a torpedo and their demonstrated tendency to open fire whenever they feel like it on some basis we can't understand, what would you tell the captain? Would you tell him he could shoot at anything that illuminated any vessel in his command? Or would he have to hold fire until he saw incoming missiles traveling at Mach 3 or more? This is particularly relevant because the Chinese Dong Feng "carrier killer" has a range of 900 miles or more. If the North Koreans invade the South, could the captain use nuclear weapons to collapse their tunnels to stop their army? Any tunnels that haven't been found are pretty deep in granite where they'd be hard to take out with conventional weapons. What Do You Tell Hillary to Tell China? In fact, as both its adversaries and supporters should realize, the North can never play nice. Just as our own economy-first governments must ensure growth to stay in power, a military-first regime must deliver a steady stream of victories or lose all reason to exist. The Chinese are going to be underjoyed at having an American battle group in their home waters. The Navy never tells whether a given vessel carries nuclear weapons, but the Chinese probably assume that the Americans would send nukes to deal with nuclear-armed North Korea. What do you tell Hillary to tell them? Or are you going to talk to them yourself? Mr. Obama did not do well when he talked to the South Koreans - they rebuffed his offers of a trade deal during his recent Asian trip and the G20 nations didn't respond well to his plan to reduce the value of their dollar holdings. Given that his personal diplomatic style doesnt' seem to go over all that well, would he let Hillary take the lead and step in if needed, or would he handle the discussions from the beginning? Given their importance and potential influence, what do you say to the Chinese? Point out that everybody knows that the Chinese bear responsibility for letting a great many North Korean peasants starve. Point out that if the North Koreans start throwing nukes around, the Chinese will be blamed for not restraining them. They collapse the North Korean regime by whatever means they think best. Cutting off supplies would lead the North Koreans to attack as the Japanese attacked us when we cut off their supplies just before WW II but the Chinese are masters of subtlety. Let the South pick up the bill for bringing the North up to first world levels. That will keep the Koreans busy for at least 30 years. Both we and China will have to help by buying Korean goods, but the Chinese don't mind trade. We and they demilitarize the South and agree on a joint US / Chinese defense guarantee. That puts the Chinese on an equal plane with us in their neighborhood and moves tens of thousands of U.S. troops further away from China. Unified Korea will buy a lot more from China than the North does because it will have more money and because China is their closest vendor. What's in this for the Chinese is obvious, but what's in it for us? One very big thing: we'll save a massive amount of money by not stationing tens of thousands of American soldiers in Korea. Our Tea Party will like the cost savings, and since the savings will come out of the military budget, the Left will also be happy. Even more appealing Mr Obama could justly take credit for ending the Korean war, a goal which has eluded every US President since Truman and would fully justify his having received the Nobel Peace Prize - after all, ending a half-century-old war is the very definition of what the Peace Prize is supposed to be about, and an accomplishment precious few actual Prize recipients managed to achieve. This tea-based Korean version of the "beer summit" could be a win all 'round. Mr. Obama likes to take tea with dictators anyway; he promised in his election campaign that he'd talk to anybody no matter how nasty, and the American people selected him as Commander-in-Chief. Here's an opportunity for that choice to be turned to excellent use, achieving a historical goal we'd gladly stand up and applaud him for. HE should handle it by saying all of these wars have gotten out of control and bring back every single one of our guys and equipment from every corner of the earth and run a department of defense not of offense. Reuters says South Korea vows vengeance if there's another attack. Beijing's drive to extend its military and territorial reach is raising legitimate questions about American diplomacy and future military procurement. The only question is who'll be top dog in the area. Beijing’s drive to extend its military and territorial reach is making America’s close allies in the region nervous and raising legitimate questions about American diplomacy and future military procurement. The commander of America’s Pacific forces recently revealed that China could soon deploy a ballistic missile capable of threatening American aircraft carriers in the region. The Pentagon has a long history of hyping the Chinese threat to justify expensive weapons purchases, and sinking well-defended ships with ballistic missiles is notoriously hard. But what should rightly concern American military planners is not so much the missile but the new Chinese naval strategy behind it. China seems increasingly intent on challenging United States naval supremacy in the Western Pacific. At the same time it is aggressively pressing its claims to disputed offshore islands in the East and South China Seas. Washington must respond, carefully but firmly. The Pentagon must accelerate efforts to make American naval forces in Asia less vulnerable to Chinese missile threats by giving them the means to project their deterrent power from further offshore. Cutting back purchases of the Navy’s DDG-1000 destroyer (with its deficient missile defense system) was a first step. A bigger one would be to reduce the Navy’s reliance on short-range manned strike aircraft like the F-18 and the F-35, in favor of the carrier-launched N-UCAS, a longer-range unmanned strike aircraft. The Air Force should also drop its plans to buy 2,000 short-range strike planes but no long-range bombers. The Obama administration must also redouble its diplomatic efforts to persuade Beijing that great power cooperation is far better than a costly and dangerous military rivalry. North Korea is a good starting point. The two countries share a clear interest in reining in Pyongyang’s nuclear ambitions and reckless threats. China — North Korea’s main supplier of food and fuel — has been far too reluctant to use its leverage. Fearing a huge influx of refugees, it is focused solely on propping up the Kim dynasty. Before it is too late, Beijing needs to realize that an erratic, nuclear-armed neighbor is anything but a recipe for stability — or for an American military drawdown. Dealing with a rising China could be Washington’s biggest challenge in the decades ahead. The United States has no interest in heightening tensions. A rapidly developing China has better uses for its new wealth than weapons. 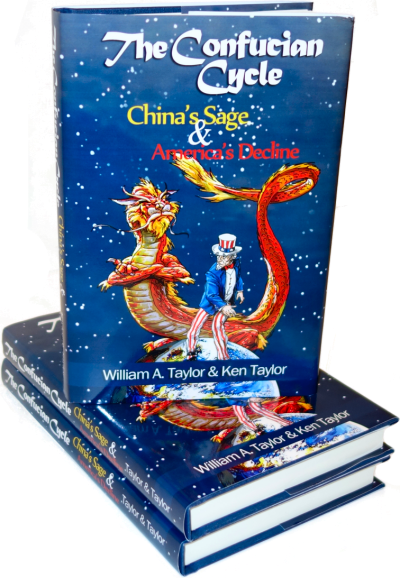 But when China pushes, as it is doing now, America needs to push back with a creative mix of diplomatic suppleness and military steadfastness.